In bed with John and Yoko Jump to media player Gail Renard remembers how as a 16-year old school reporter, she joined John Lennon's entourage in 1969, and witnessed first hand his "bed-in" peace protests. The white suit worn by John Lennon on The Beatles' Abbey Road album cover is to be sold at auction. 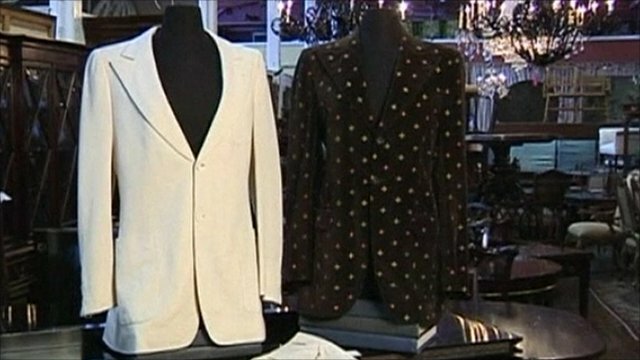 The jacket, which was also worn by Lennon in the video for the hit Imagine, will be sold in Connecticut, along with his old car, a 1972 Chrysler station wagon. Kathy Braswell, from Braswell Galleries, which is holding the sale on 1 January, said Lennon had chosen the car so people would not recognise he and Yoko Ono.